Wow!!! What a first day for ticket sales for YEGPIN we are already over 50% sold in the first day!!! Unfortunately we have also had a few issues with our Credit Card processing. This only impacted a few individuals, and we am sorry for your frustration, we will be working to address these issues to make a better experience for you. As a token of our appreciation for your patience we have opened 25 more Ultimate VIP tickets as there have been a few individuals that were unable to get their Ultimate passes processed yesterday. So if you haven’t got your ticket, act quickly, as there will not be further adjustments to the tickets. 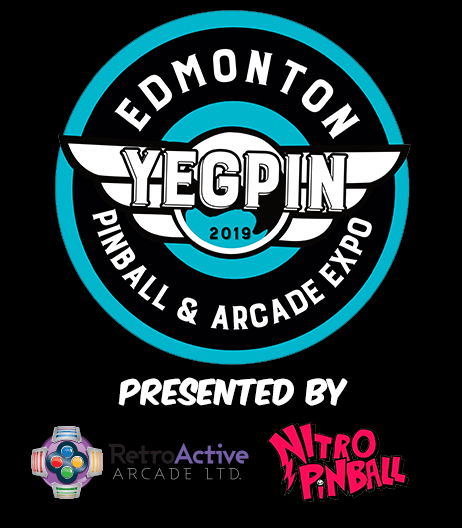 Just want to thank the all of the wonderful pinball and arcade community in BC, AB, SK, MB, ON, NFLD, CA and WA who have already purchased tickets for the event. We have we could have never dreamed of the support we have for the show and look forward to exceeding your expectations once again this year. For any online ticket issues feel free to email diehardpinball at gmail.com and we can make arrangements for alternative payments.